Coloring for grown ups is one of the hottest trends in bookselling right now. The amount of awesome books that are now available specifically for more advanced color-ers (colorists?) is HUGE! At our store, the hands-down favorites are Johanna Basford’s Secret Garden and Enchanted Forest and we’ve had a heck of a time keeping them in stock. 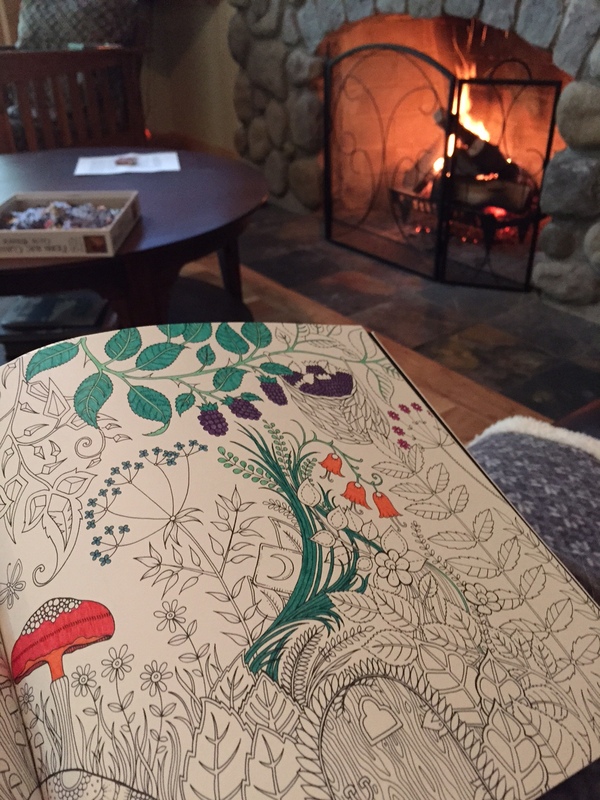 I took Enchanted Forest with me on our Memorial Day weekend vacation and all of my friends wanted a turn to color! I thought I was totally nerding out here by bringing my coloring book, but it turns out I should have brought one for everyone. There is something so relaxing and therapeutic about putting pen, pencil or crayon to paper and creating something beautiful…whether you’re doodling freehand or coloring in between the lines. But this brings up a very important matter…what to use to do the coloring?! People definitely have their preferences and if you prefer to use markers, it can be hard to find some quality markers that don’t bleed through to the next page. 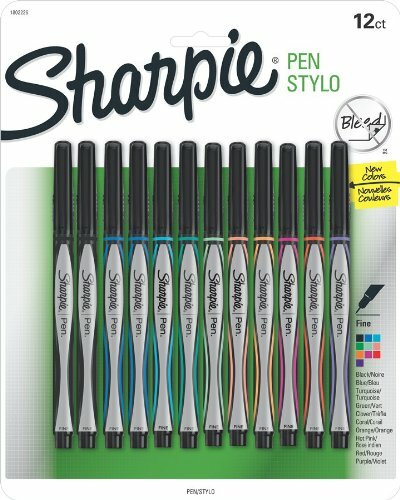 While there aren’t a huge variety of colors yet, I LOVE coloring with Sharpie Pen Stylos and I’m hoping they come out with a wider range of colors soon because they. are. rad. and the fine tips are perfect for coloring small spaces. So get on it, Sharpie!